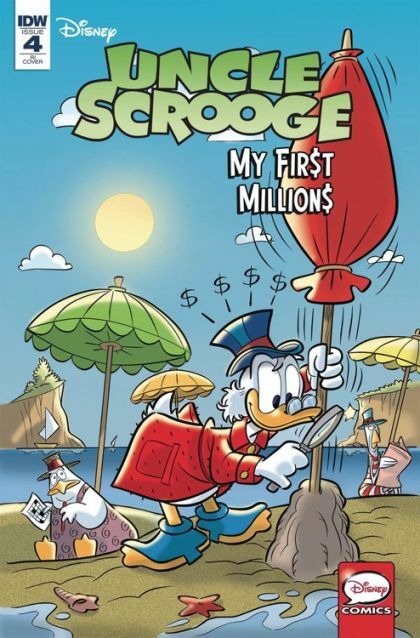 It's the last issue of our four-part miniseries detailing how Uncle Scrooge made his first millions! As co-founder of McDuck and Wreck Construction, Scrooge McDuck finds his business on less than stable ground. But will shoddy craftsmanship and a shady business partner lead to an unexpected windfall for our favorite miser? Find out in the action-packed conclusion! The final story in a special four-issue miniseries featuring Uncle Scrooge as you've never seen him before! Another brand-new Uncle Scrooge story makes its U.S. debut! Uncle Scrooge returns to a monthly series starting with issue #41 in January 2019!